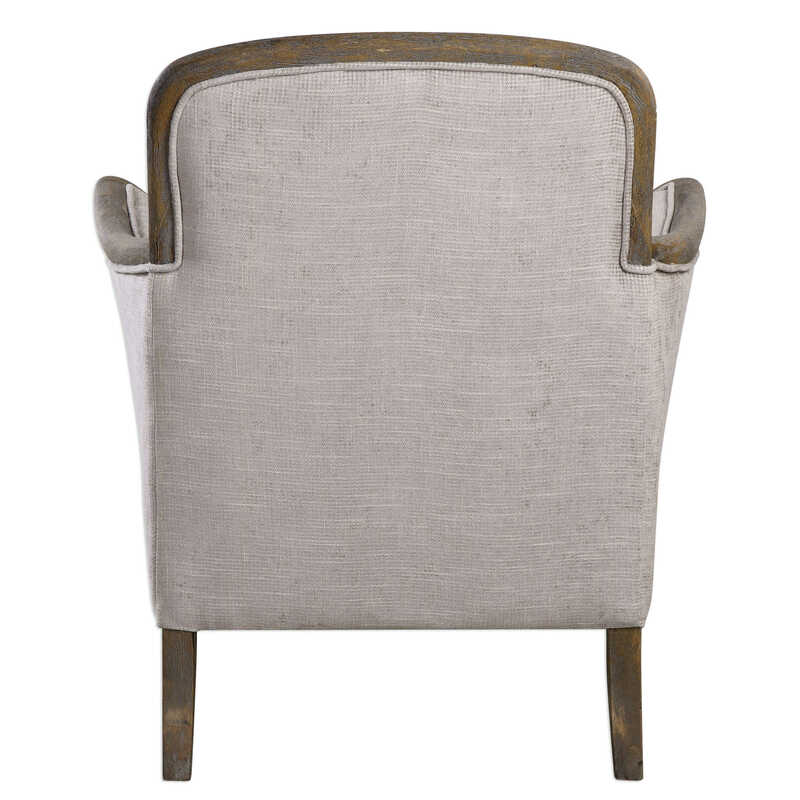 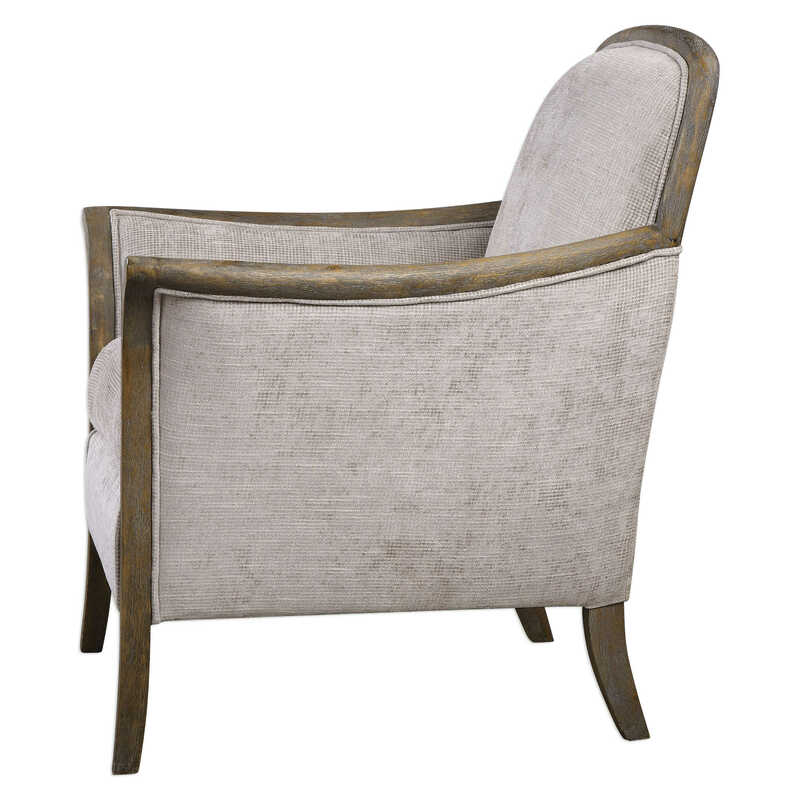 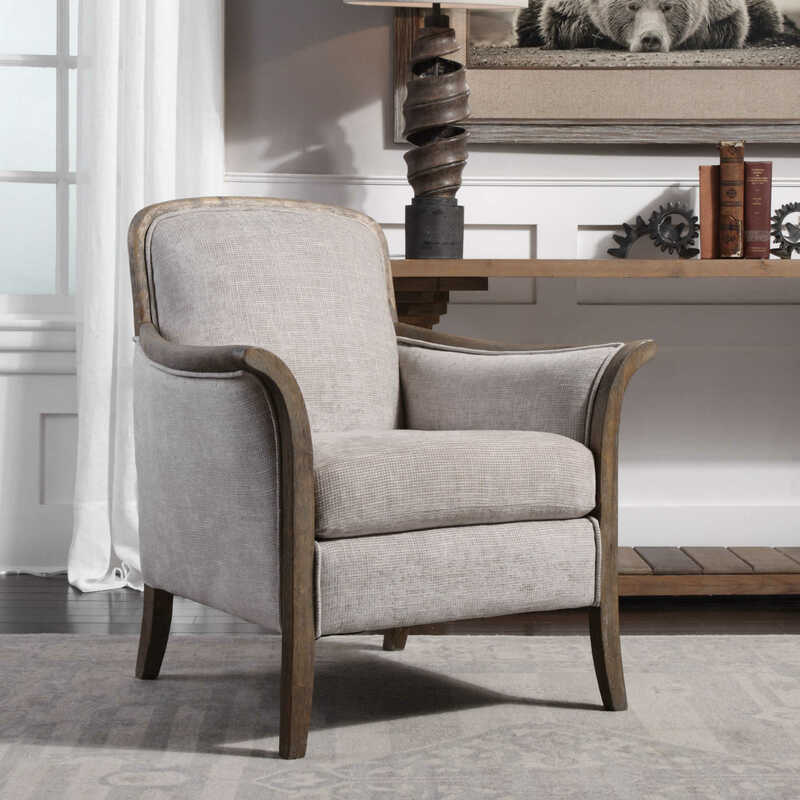 Solidly constructed chair featuring exposed hardwood finished in a weathered pecan and tailored in soft and woven shades of taupe and stone. 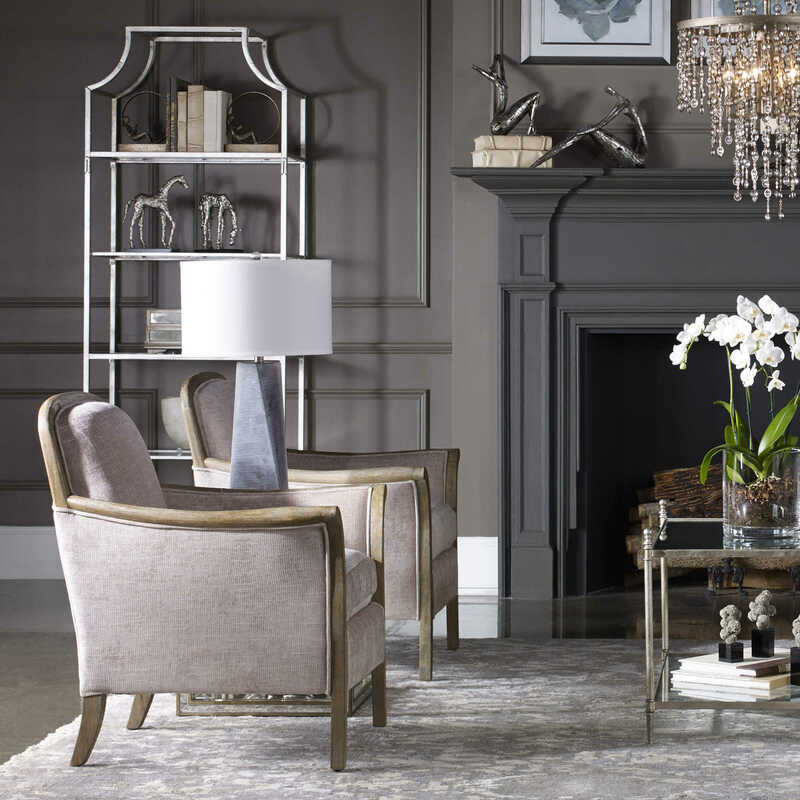 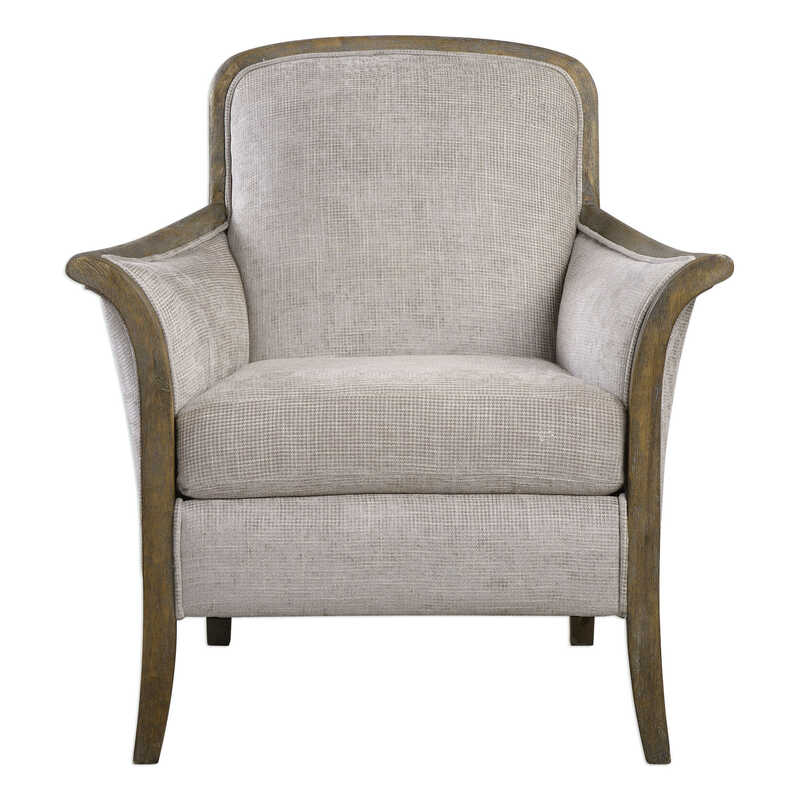 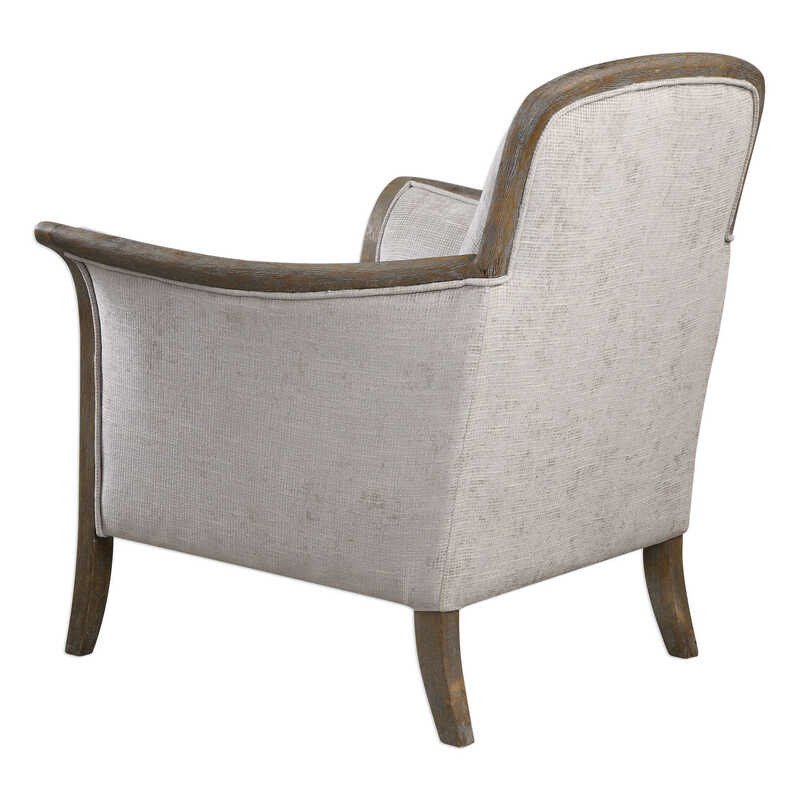 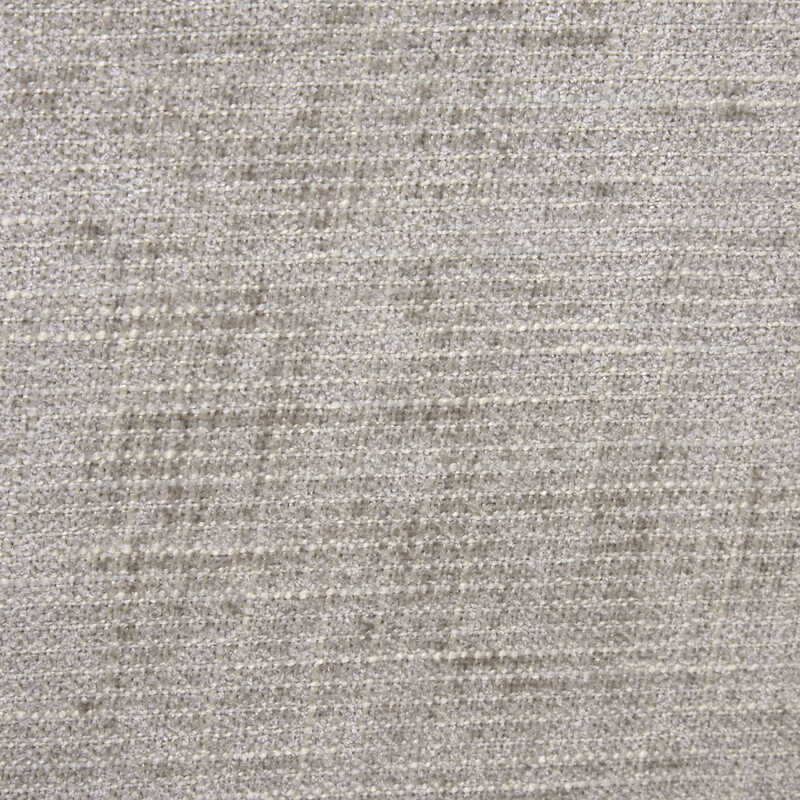 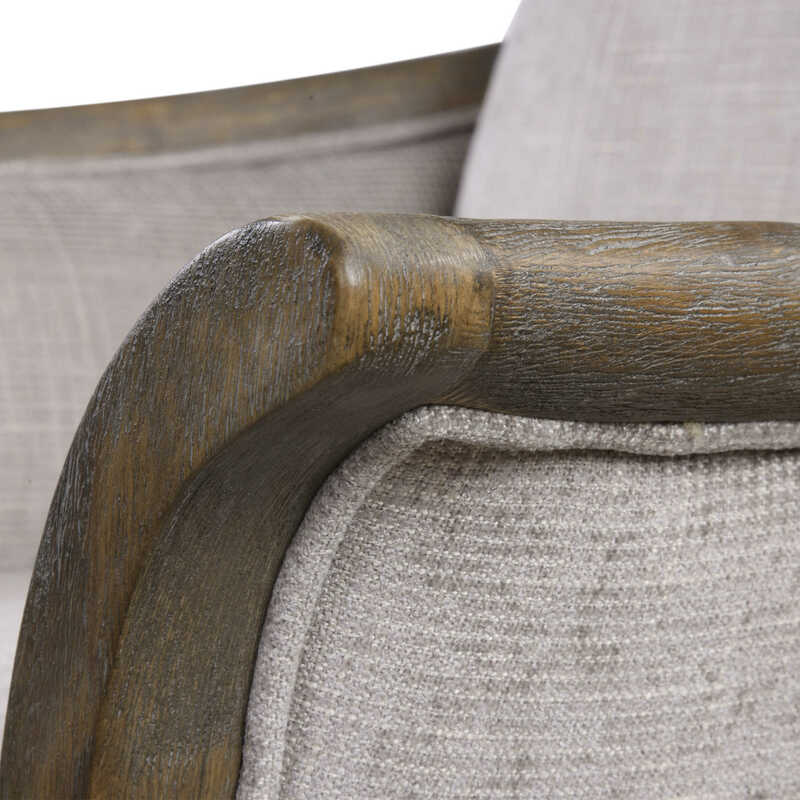 Welting adds to the elegance of its shape amplifying fluid lines all the way down to the tapered legs. 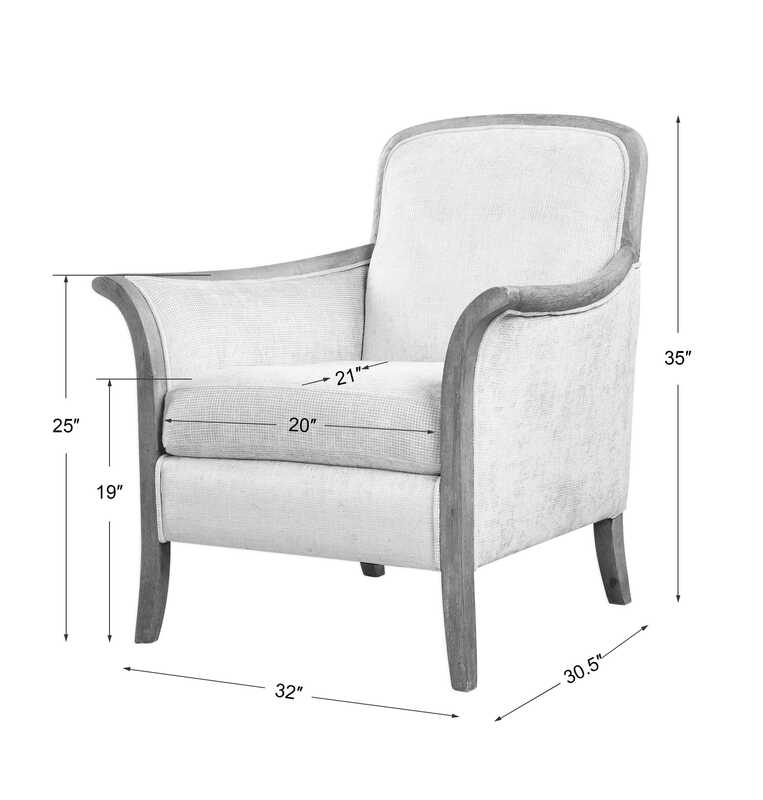 Seat height is 19â€.